Gary Lemmer began guiding in California in 1981 on the Stanislaus River. He worked on numerous rivers in California and Oregon as well as the Grand Canyon of the Colorado. 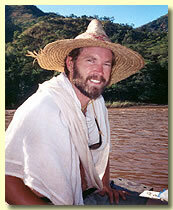 In 1982 Gary began guiding and leading trips in Africa, Alaska, Canada, and Chile. An avid bird and wildlife enthusiast, his love of the wilderness is infectious. 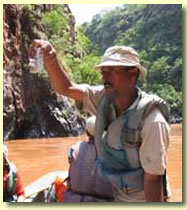 Along with his extensive river experience he is also a gifted musician and a certified EMT. Gary’s love for rivers led him to become an activist in defense of free flowing rivers. He has volunteered with Friends of the River and Environmental Travel Companions, and later went on to found of the Bio Bio Action Committee in defense of Chile’s Bio Bio River. 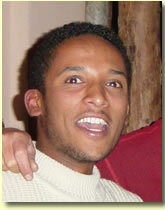 Tefara Gehedamu, co-founder of Nile River Safaris, is a well known Ethiopian filmmaker, news commentator, and Ethiopian Television personality. As Director of Special Projects and Promotions Tefera heads our video production and photography youth training programs in Bahir Dar. With extensive domestic and international media contacts Tefera has recently founded Image Ethiopia a non-profit organization dedicated to furthering the world view of Ethiopia and enhancing its future through film production and information exchange. Robel Petros, Ethiopia Operations Manager, is also the office manager for Nile River Safaris' operational partner in Ethiopia, Ethiofana Tours. Robel has extensive knowledge and experience with the cultural groups in his native country and expertly fills the position of chief interpreter on all Ethiopia trips. Fluent in English, Tigraen, and Ahmaric, Robel’s relaxed attitude, warm sense of humor, and knowledge of his home country is indispensable. His position between Nile River Safaris and Ethiofana creates seamless coordination between the river and overland operations. Eddie Dowd is from Colorado and has been leading people into the wilderness since the mid-'80s. He began as a rock climbing and backpacking guide and went on to spend many years as a ski instructor. After running his first whitewater in 1989, he instantly fell in love with the river life, becoming a commercial guide a few years later and exploring new rivers ever since. 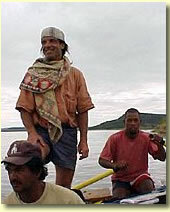 In addition to rafting throughout most of the western United States, he has boated in Ethiopia, Nepal, and Costa Rica. Whether it's chatting over an early morning cup of coffee or spinning African tales around the campfire, you'll find Eddie to be warm, helpful, and always approachable.